Cae Post, an innovative charity and social enterprise, has submitted a bid to Powys County Council to take over its premises in Trewern, Welshpool, through a Community Asset Transfer. Cae Post is celebrating its 30th anniversary this year and is looking to the future with its bid to take over the Trewern premises so it can carry on providing employment and training opportunities to local people for years to come. For 30 years it has delivered services that ultimately provide people who have a range of disabilities, or who are disadvantaged in the labour market, with the same opportunities as anyone else for contributing to their community through work. Currently, Cae Post offers waste management and recycling to businesses and households across mid-Wales. 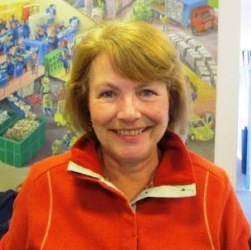 Added Sue: “Recently, Powys County Council decided not to extend our contract to deliver kerbside recycling, bringsite collections of plastic and cans and the operation of the materials recovery facility – services we have successfully operated for well over a decade. We accept, of course, that the County Council has the right to bring the service in-house – but it will impact significantly on our clients who benefit so much from working at Cae Post each week. Cae Post will be contacting all of Powys’s councillors to remind them of the important work the social enterprise does in giving people who, for whatever reason, find it difficult to get jobs, offering people the chance to improve their lives and contribute to society. Cae Post will of course be asking councillors to support the Community Asset Transfer. Cae Post is unique within Powys in the way it has pioneered a model of working that empowers people who otherwise might find it difficult to secure work and training opportunities. Cae Post’s future plans for the building in Trewern will see it increasing the opportunity for young people to access work-based learning, improving access to work for people with learning disabilities and encouraging more people to volunteer. If you would like to find out more about Cae Post, please visit www.caepost.co.uk. This entry was posted in Cae Post, Charity, News and tagged Cae Post, Community Asset Transfer, Powys on November 7, 2016 by Shaun.